Get first pick of the year’s best gifts during the kickoff event to a weekend of tax free shopping at MMoA. The Holiday Fine Art and Gift Salon features original fine art made just for this show and an unforgettable selection of art, crafts, jewelry, handmade soaps and more on display throughout the galleries.Choose from dozens of handmade wares created by local artists for the gift-giving season. Enjoy wine, soup and salad while we wrap your gifts, free of charge. RSVP to 860-536-7601 x205 by November 10. 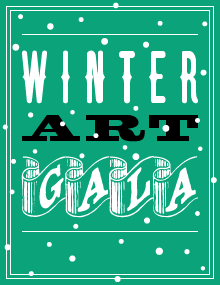 MMoA’s Holiday Fine Art and Gift Salon will be on view through December 29. All proceeds support Mystic Museum of Art programs.